The wind blows through Nevada and rolls through the Wasatch mountains on a regular basis. The elevation is high so there are very few trees and the snow is consistently soft. Skyline Ridge has miles of open terrain from flat to rolling hills to cliffs all with in reach of a park and ride situation. Park and ride means you can pull up in your car set up your kite and go for it. 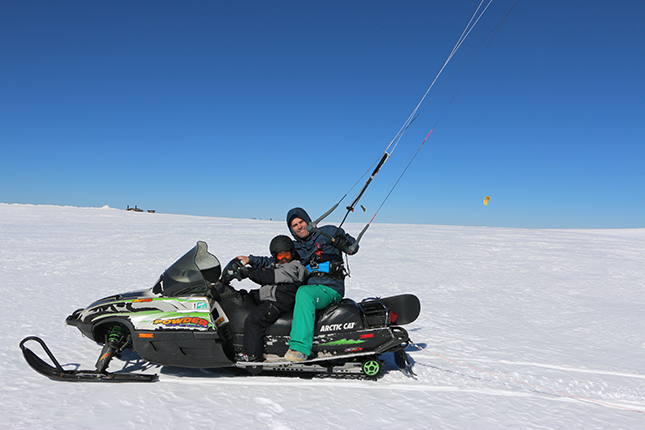 We have been hosting snowmobile adventures in this area for years and on a no-wind day we ski, snow board, ride our snowmobiles, ice fish — we enjoy the great outdoors! 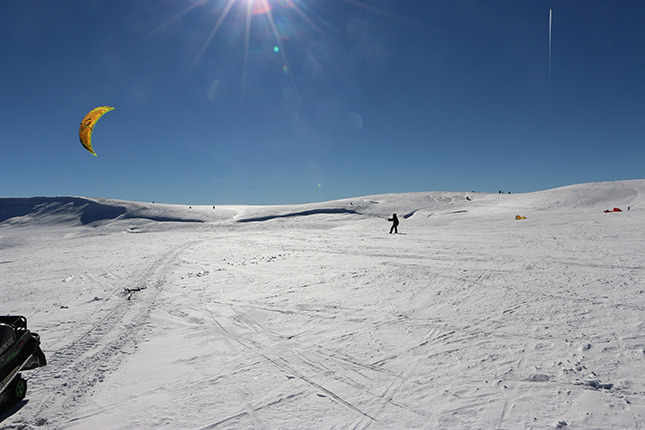 There are some things that you should watch out for to make your snow-kiting adventure safe and enjoyable. There are possible storm situations with white outs, high winds, colder temps that can cause frost bite, avalanches, sun burns and, altitude sickness. At 9k+ feet its easy to get exhausted, dehydrated, and delirious if you over do it. 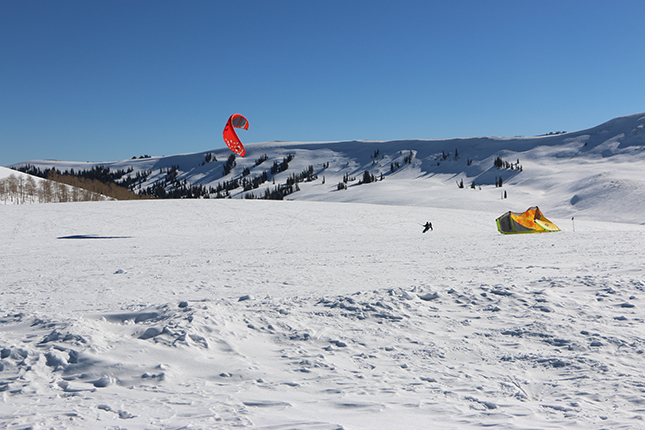 Skyline ridge is the #1 best snowkiting location in the USA.